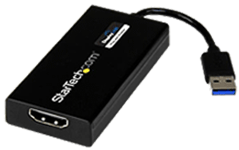 StarTech.com offers several models of USB video adapters that can turn any existing USB port into a full-featured external video output. Every system, regardless of new or legacy, can benefit from these innovative products, as USB ports are found on virtually every laptop or desktop computer manufactured in the last 15 years. 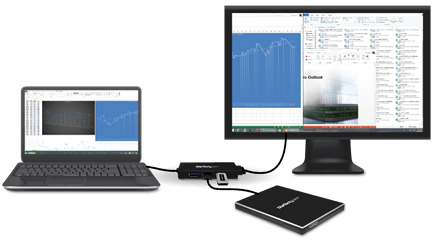 Turn any existing USB 3.0 port into a 4k Ultra HD-capable display output. Cost-effective way to enable existing devices to fully support the latest 4K Ultra HD display and projectors. Today's demanding work environments, across all industries, require the simultaneous use of multiple applications. Adding more displays is one of the easiest ways to optimize productivity by improving multi-tasking capabilities. 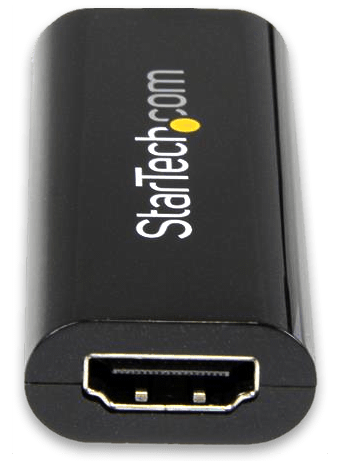 StarTech.com USB external video adapters take minutes to install, without any system downtime. Quickly and efficiently upgrade a single system of hundreds of systems, saving countless hours of labor and support time. Add the output needed to connect your existing devices to the most common display types: VGA, DVI, HDMI, DisplayPort. Flexibility to connect to any display, for improved compatibility with different monitors, TVs and projectors. Who would use a USB External Video Adapter? Keep multiple applications open, such as email and spreadsheets, without the need to switch between windows. Save time by minimizing the needs to scroll, and view more information as once using multiple displays. 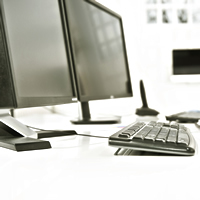 Existing computing devices typically have only one type of video output. Ensure compatibility with displays and projectors around the world by enabling additional connectivity options. 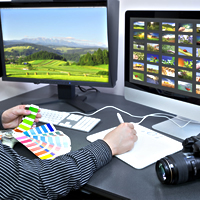 Improve workflow and productivity by using displays with higher resolutions such as 2560 x 1600 or 4K Ultra HD. Perfect addition for small form factor PCs, which are typically space and power-constrained. 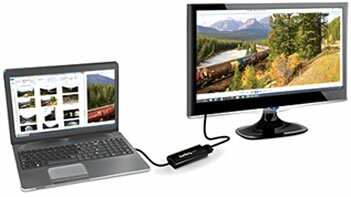 USB external video adapters consume minimal power compared to internal video cards and are completely-bus powered. USB external video adapters produce very little heat during operation and do not require active cooling, unlike internal video cards. Upgrade older, single-video output, single-video output systems to support multi-monitor capabilities. More than half of Ultrabook models sold lack HDMI or VGA ports, which could affect the ability to connect to external displays or projectors. Bring back these common video outputs ports with StarTech.com USB Video Adapters. 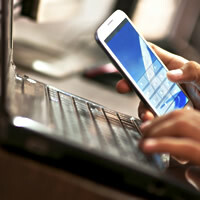 Overcome the productivity limitations of a small device display. 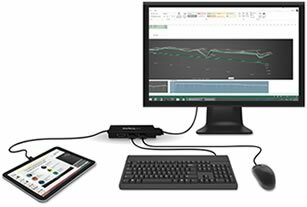 Increase productivity by using a StarTech.com USB External Video Adapter to connect your tablet to a larger screen. For budget-conscious users looking for USB 3.0 performance and a slim design at an affordable price. Expand existing connectivity options to ensure compatibility with a wide variety of projectors and displays. Hub Series adapters can be used as a USB Display Adapter as well as a USB 3.0 Hub/mini dock, simultaneously. For devices with limited number of USB 3.0 ports, typically found in the latest Ultrabooks, and convertible laptops. For users who need the best external video performance, to support multiple monitors at resolutions up to 2560x1600. Enhanced performance that's ideal for HD video playback and demanding applications that require dedicated hardware processing. For users who want the highest performance from a USB 3.0 Display Adapter with the ability to support the latest 4K Ultra HD displays or projectors. Still not sure which adapters are right for you?